Set among forests on the very edge of the Masai Mara‚ the intimate &Beyond Bateleur Camp reflects the ambiance of Kenyan explorers of old. 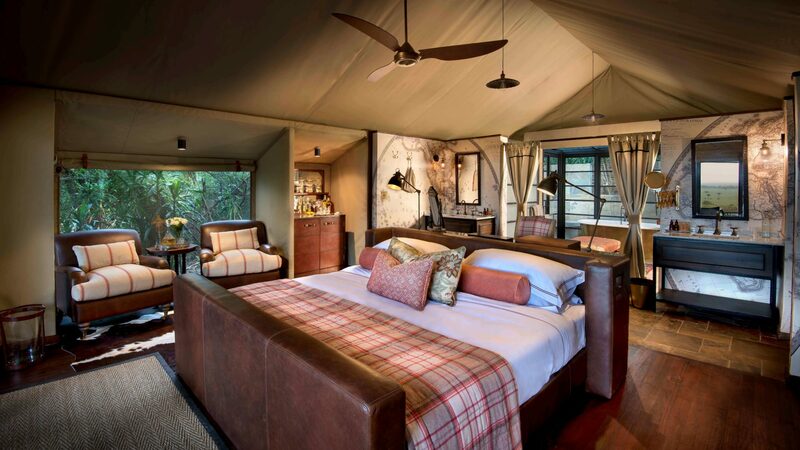 Guest areas bring in the vast open spaces‚ adding a touch of vintage safari elegance. Intriguing antiques‚ hand-crafted artefacts and keepsakes of bygone times mingle with cushy sofas and polished leather chairs. Shiny brass compasses‚ leather trunks and framed maps bring a poignant reminder of old world travellers on a similar journey‚ while bookshelves of bound tomes entertain and inform. The warm glow of torches and candles welcome you home from your evening drive. Fine china‚ crystal and silver sparkle in the torchlight as the aromas of delicious meals waft on the breeze. 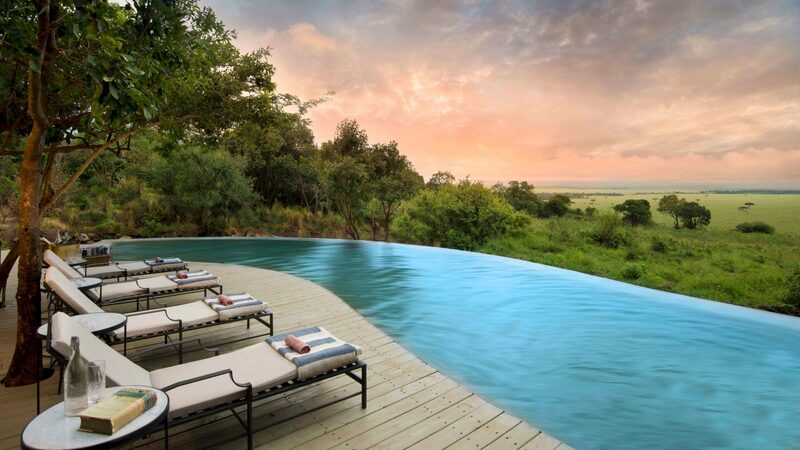 A deep‚ refreshing lap pool provides cool comfort in between game viewing adventures. Delicious meals are served in a memorable setting beneath the stars‚ followed by fireside port and cigars. Bush breakfasts and romantic sundowners on the edge of the Rift Valley offer an unforgettable African experience. Upon arrival at the airstrip‚ you will be met by a driver/guide who will transfer you to the Camp to check in. 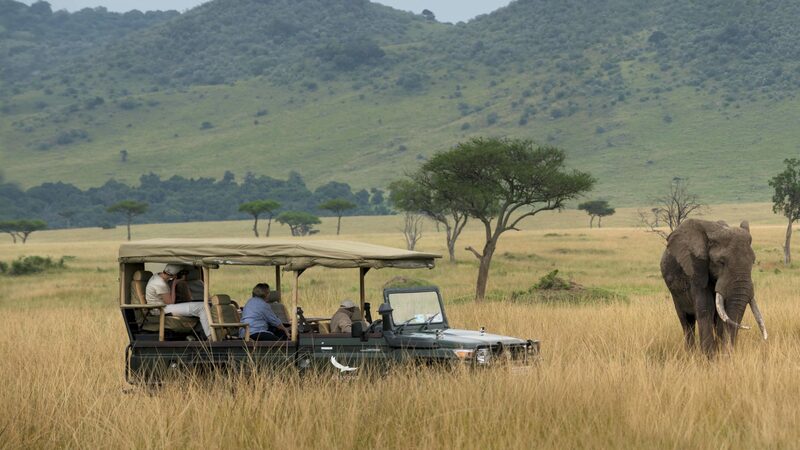 From the airstrip you will enjoy a short game drive viewing. After lunch you will depart for a late afternoon game drive until around 1830hrs. Return to the camp for dinner and overnight . Soft drinks / house wine / local spirits / beers and laundry.